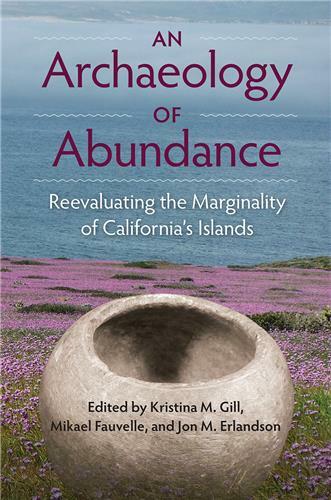 The settlement and occupation of islands, coastlines, and archipelagoes can be traced deep into the human past. From the voyaging and seafaring peoples of Oceania to the Mesolithic fisher-hunter-gatherers of coastal Ireland, to coastal salt production among Maya traders, the range of variation found in these societies over time is boundless. Yet, they share a commonality that links them all together—their dependence upon seas, coasts, and estuaries for life and prosperity. Thus, in all these cultures there is a fundamental link between society and the ecology of islands and coasts. Books in this series explore the nature of humanity’s relationship to these environments from a global perspective. 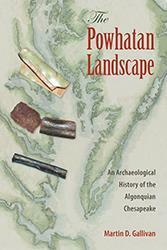 The Powhatan Landscape breaks new ground by tracing Native placemaking in the Chesapeake from the Algonquian arrival to the Powhatan's clashes with the English. Martin Gallivan details how Virginia Algonquians constructed riverine communities alongside fishing grounds and collective burials and later within horticultural towns. Ceremonial spaces, including earthwork enclosures within the center place of Werowocomoco, gathered people for centuries prior to 1607. Even after the violent ruptures of the colonial era, Native people returned to riverine towns for pilgrimages commemorating the enduring power of place.